My first digital SLRs were Olympus E-4xx and E-6xx 4/3 mount bodies. With the E-5 being the last 4/3 mount body produced, I had to decide what to do next if I was going to stay reasonably current with technology. Fortunately, Olympus provided a route to micro 4/3 that allowed using the older mount lenses on the new bodies. The lure of full frame never really affected me so I stuck with Olympus and its 2x crop sensor. This meant I had old, 4/3 mount bodies that were rapidly reducing in value. 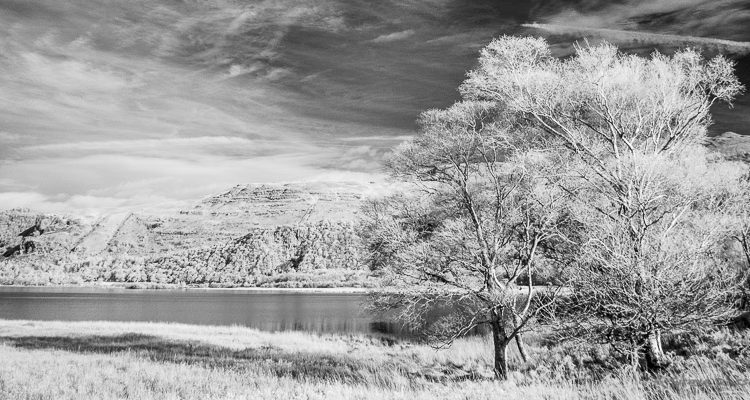 I’d previously been intrigued by infrared (IR) images but had never tried IR film. I was aware that IR conversions were possible and that a conversion offered much more flexibility than just screwing an IR filter on the lens. Unfortunately, I found that no company (in the UK, at least) offered conversions for Olympus SLR bodies. Reading around the web suggested that the way that the sensor is mounted very delicately (the wonderful image stabilisation mechanism for which Olympus has always been well-regarded) made the conversion tricky. So, in the end, I sold my 4/3 mount bodies (for not much at all!). By mid-2016 I had fully migrated to micro 4/3 and I found that one of my earlier micro 4/3 bodies (an OM-D E-M5) was not getting used much. So I once again went looking to see if conversion was possible. To my surprise, one of the companies I’d approached earlier – Protech Photographic, now did offer conversion of Olympus gear, including the E-M5. 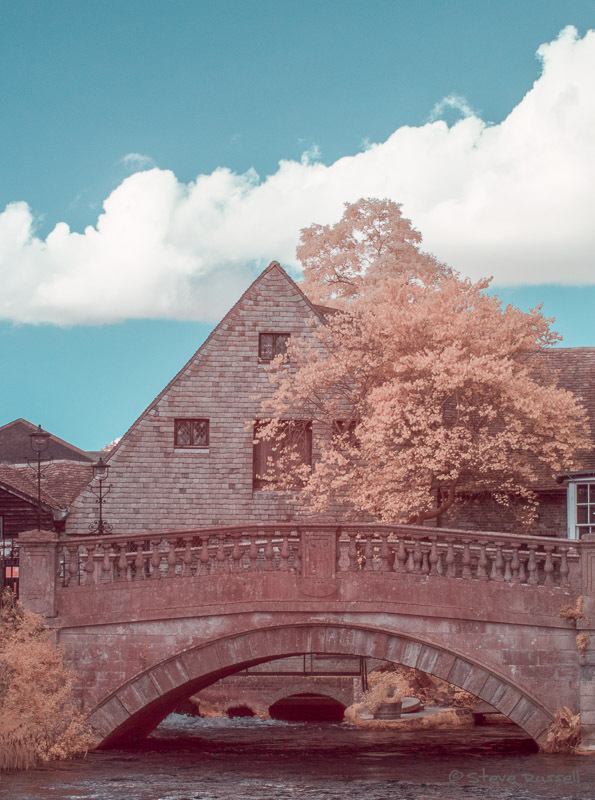 Conversion isn’t cheap, at around £250, but it does mean you can work with much faster shutter speeds than you can by adding a standard IR filter to the lens. Mirrorless cameras also have the advantage that focusing remains accurate – with an SLR you have to compensate for the slight difference in focus for IR. At this point, it quickly became apparent that a lot of decisions have to be made before the conversion can take place. Probably the main one is to decide which type of filter you want to have fitted. I won’t go into the detail here as there are plenty of resources out on the web to help. I found the Protech and LifePixel websites particularly useful. 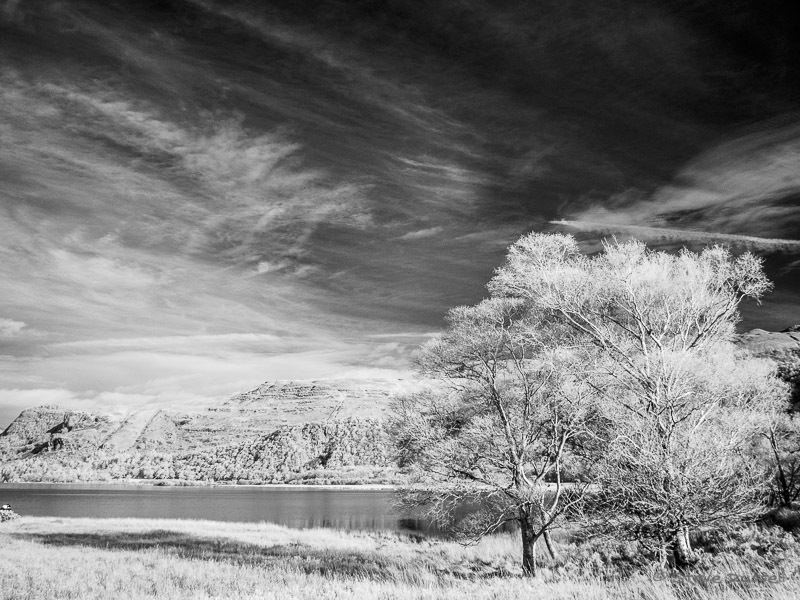 LifePixel also have a useful infrared primer if you’re new to IR photography. I eventually plumped for a 665nm filter so that I could both play with false colour and (by adding a longer wavelength filter on the lens) “normal” IR images. More research suggested Protech were reliable and cost-competitive, so I eventually entrusted my E-M5 to them and it was returned to me around a week later with the conversion complete. I’ve only just started my journey with IR photography and have a lot to discover. The picture above was taken in the Lake District – a larger version can be seen in the gallery. I’ve also had a very quick play with false colour, as shown below. Disclaimers: I have no relationship with Protech Photographic apart from that as a satisfied customer. My only contact with LifePixel is that I have found the information on their website useful.